NEET SS 2018 Exams preparation take months, not weeks, to prepare for properly. Candidates require 6 months of tapered revision and some of them even longer. Starting your revision for NEET SS 2018 exams early will prevent panic in the later stages and allow plenty of time to work on the syllabus and spot problem areas that will need more work. 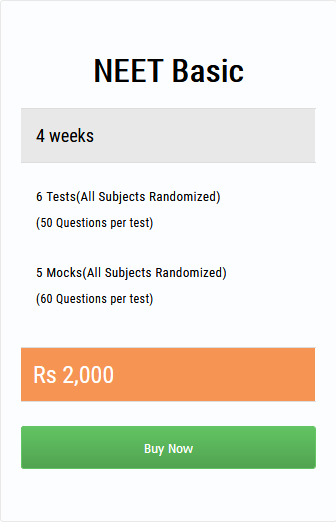 NEET SS 2018 medical exam has its own unique style and content. Before you start preparing for the NEET SS 2018 medical exam you are sitting it is vitally important that you know your exam. Try to get hold of a copy of the NEET SS exam syllabus should be the centerpiece of your NEET SS 2018 exam preparation and may well be the most important single document that you read. Knowing and understanding your exam syllabus can save you countless wasted hours reading irrelevant topics that won’t come up in the NEET SS exam. Once you have a good understanding of the syllabus of NEET SS 2018 Exams you can work out the amount of content you have to get through in the time that you have available. Try to make your revision plan as early as possible and try to work out how much time you will need to spend revising each day. Write a checklist of topics that you will need to have covered and then think about which ones will require more revision time. Writing a revision timetable can be an extremely helpful way of making sure that you have covered everything before the day of the NEET SS 2018 exam.